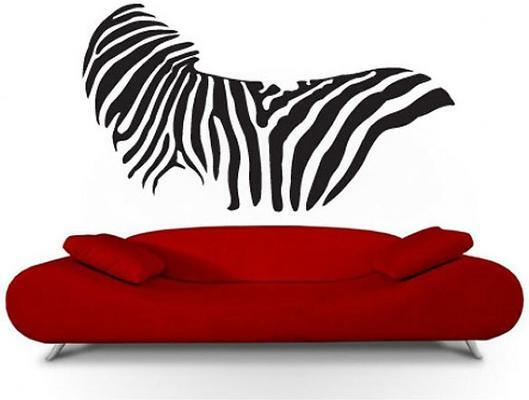 Transform a drab room into a interesting art wall just by adding this fun Zebra Print Wall Sticker! It's perfect for any white or neutral coloured space since the zebra stripes can easily stand out without any problem. Add this to your living room wall, right above the couch and you'll have a striking wall decor that's sure to win some chic points for guests and family members. The sticker is made from vinyl so it's easy to place on your wall and easy to peel off as well. The design is quite detailed so you'd love how this piece would stand out from your wall easily. Notes: This sticker is made for one time use only. Each item is made to order so returns are not accepted for the package unless there's a problem with the product. The stickers can be placed on any flat surface and they can peeled without damaging the existing paint underneath.